It finally reached the point of needing a more versatile camera with more functionality than just massive video. 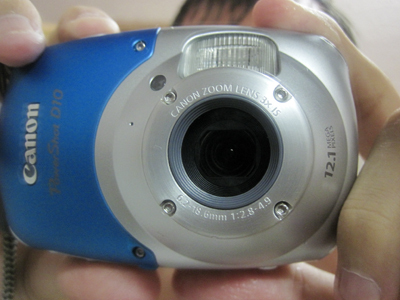 So with a little bit of research, and lots of searching in Saigon, I finally found a Canon D10. It’s shockproof, freeze proof, and waterproof to 10 meters, making it more than splash proof like many of it’s competitors. It’s a bit bulkier than the typical pocket camera, but with 12.1 MP photos, and some solid video, I don’t mind carrying it around.